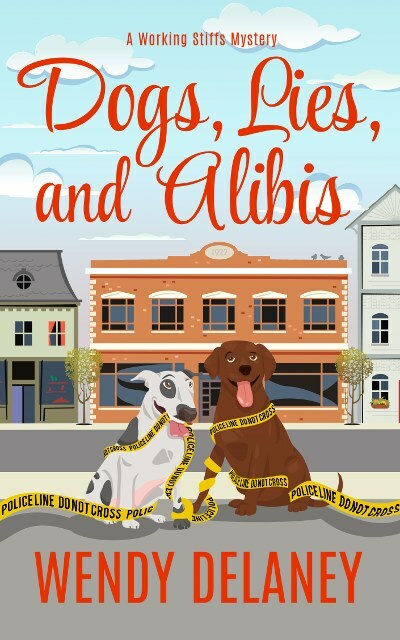 After what has been a mad dash to the finish line of Working Stiffs Mysteries #5, I’m happy to announce that Dogs, Lies, and Alibis will release Thursday, October 5! You’ll be able to find Dogs, Lies, and Alibis everywhere digital books are sold, and at a special “early bird” price of $0.99 to celebrate this “puppy” making its long-awaited debut. I hope you’ll enjoy Char’s continuing story. I sure did love writing it! This entry was posted in 2017, Book News, New Release. Bookmark the permalink. ← I’m late – for a very important date!